The world and employment within that world is changing quickly. Apart from government based jobs, which are really non-productive, the nature of productive employment is rapidly evolving. In the next 20 years, we will see more change and improvement than we’ve seen in the last hundred. Think where we were 100 years ago and how much has changed since then. That much and more is going to happen in the next two decades. Global society really is going to transform that fast. In 1820, about 94% of the world’s population lived in extreme poverty. By 1990, the figure was 35%, and in 2015, it was just 9.6%. Research shows that, on a global basis, the poor are getting richer faster than any other group. However, if you look around the US or Europe, that is not the conclusion you come to. But Africa or Asia? Absolutely. Let’s be clear: The Industrial Age and free-market capitalism, for all of its bumps and warts, has lifted more people out of poverty and extended more lives than has any other single development. Because of where the emerging-market economies are in the development cycle, they have the potential for vast, rapid improvement in the lives of their people. But most of you do not live in the emerging markets. We live in the developed markets, and here, some of the outcomes of the coming transformation will not be so comfortable. I’ll give you three examples that show the vast implications of the looming paradigm shift. The rig count in US oilfields is rising rapidly—no surprise there. But distressingly, the number of oilfield workers is continuing to fall. How can this be? The answer is a new robotic machine called an Iron Roughneck that reduces the human labor required to connect pipe from a crew of 20 down to a crew of five. And those jobs were quite high-paying. Now look back at the chart. The amazing thing is that this transformation happened in two years; it didn’t take a generation or even half a generation. You were an oilfield worker with what you thought was potentially a lifetime of steady, well-paying— if dangerous, nasty, and dirty—work. And then BOOM! The jobs just simply disappeared. Your on-the-job experience doesn’t translate to any other industries very easily, and now you and your family are on the skids. RethinkX, in a 77-page report, concludes that 90% of all driving in the US will be TaaS (transportation as a service) by 2030, although that will utilize only 60% of the cars. The report projects that the adoption of TaaS will come about in typical technological adoption fashion: slowly and then seemingly all at once. The authors talk about the end of individual car ownership. And it is not just the six million taxi and truck driver jobs that are threatened. Automated driving will save some 30,000 lives per year just in the US, which is something to be applauded. But it will also dramatically decrease the number of people going to emergency rooms from automobile wrecks, reducing the need for healthcare workers. Since cars won’t be in wrecks, the number of people required to repair them will be radically reduced. There are 228,000 auto repair shops in the country, employing some 647,000 workers (at a minimum – data from BLS). And if we need fewer cars? That shift would put a lot of automotive manufacturing companies and their workers under severe strain. I was talking with my friend Dr. Ray Takigiku, chief executive and chief scientist of Bexion Pharmaceuticals. The company is now 15 months into a phase I trial to determine the safety of a drug called BXQ-350, which is basically a full-on silver bullet for mass-tumor cancers. It has so far been a small trial in four medical research universities, with a limited but growing number of patients who have pancreatic cancer and brain tumors. The results have been very promising. Full disclosure: I was a first-round investor in Bexion, and so I have a strong home-field bias in wanting BXQ-350 to succeed, but the reality is that its success will be extraordinarily good for humanity. But let’s think for a minute about the impact of the success of a drug of this type beyond the many lives that will be saved and the significant reduction of pain and suffering. I couldn’t determine the number of healthcare workers specifically associated with the treatment of cancer, but it has to be in the hundreds of thousands, and they have relatively high-paying jobs. Then there are all the hospital beds filled by cancer patients – easily many tens of thousands. Plus all the ancillary workers that are associated with the care and welfare of cancer patients. Kyle Bass gave me the estimate that at least $500 billion of market cap in big Pharma will be destroyed by a cure for cancer. So there are just three examples of major disruptions to employment that will be caused by near-future technological change. We haven’t even gotten into the brick-and-mortar retail jobs that online sales firms like Amazon are taking away. And warehouse workers? The list could go on and on of whole job classifications that are endangered species. These changes are going to disrupt our lives and the social cohesion of our country. And of course these shifts are coming not just in the US, but in the entire developed world. And even technology centers in the developing world are going to find themselves at risk of employment dislocations. Just so that I don’t appear to be a total Gloomy Gus, let me quickly note that the very technologies that are destroying jobs are also going to result in tens of millions of new and in many cases better jobs. Many of them will be high-paying, more life-fulfilling, and far less dangerous than the occupations they replace. The glib answer to the question, “Where will the jobs come from?” has always been “I don’t know, but they will.” That is what has always happened in the past. We went from 80% of laborers working on the farm in the 1800s at barely subsistence-level incomes to 2% producing far more food today. But that transition took place over 200+ years—10 generations. There was time for people to adjust and for markets to adapt. Even when whole industries appeared and then disappeared again, it happened over generations. Employment case for constructive dismissal and $200M in damages. Some, quite a lot actually, of jobs are never coming back. Robots, computer technology all are dissipating the employment prospects of the line manufacture worker to the middle management services provider. This will mean that until the new opportunities become available or apparent to these displaced workers, unemployment will remain uncomfortably high. There will be disruption within corporate profits. This period, while a blip in history, will last potentially a worker’s working life. Time to retrain. Until the opportunities become clearer, this means into higher [intellectual] services. Businesses I suspect will also in many instances become smaller, at least while the competitive fight for market share predominates. If the Fed is true to its word, this means low interest rates and higher inflation for quite some time. Investment becomes critical for those hoping to retire at some point. Bonds are a lost cause currently. Commodities and stocks are the two areas to be. Stocks hold the edge. The volatility however will be uncomfortable for many. Jerry in his post relating to the minimum wage would seem to be advocating for fascism. So for example, to go from the current $7.25 to the $9.25 (or $8.25 or $10.50), the law should lay out a specific time, in which there will be small, but steady raises in the minimum wage. So to go from $7.25 to $9.25, the law will require the minimum wage to rise – let’s say 25 cents (I don’t know what figure would be ideal….but 25 cents seems rational) – every 6 months. Employers will still be forced to pay more for minimum wage workers, but they will be ready for the changes as the effect won’t be as sudden and it will give them time to adjust to the higher costs. The use of the law here is misguided. The law is to protect natural law rights, fundamental rights. What right is there to be paid a legally mandated minimum wage? None. It is in addition a violation of economic law. It creates unemployment. Further, when the law is employed by the state in such a fashion, it has a name. That name is fascism. The reality of bureaucratic administration has been with us at least since the New Deal, which was modeled on the planning bureaucracy that lived in World War I. The planned economy — whether in Mussolini’s time or ours — requires bureaucracy. Bureaucracy is the heart, lungs, and veins of the planning state. And yet to regulate an economy as thoroughly as this one is today is to kill prosperity with a billion tiny cuts. Jerry has a plan, should plan ‘a’ fail. And to minimize adverse long-term policy if they do fail, a law should be written for the reversal of the minimum wage hike/decrease if X, Y, & Z are not successfully accomplished within a specific time. Now I’m making it very simple but of course great detailed work would (should?) go into figuring out the parameters, requisites and goals. We don’t want to be stuck with a law that might be hurting us. Basically, we want a “reset” button if it fails. How exactly should this “detailed work” be undertaken? The two approaches will provide very different conclusions. Empiricism will provide some sort of model. Rationalism, the a priori, will demonstrate the error of the undertaking. One other thing that gets lost in the minimum wage debate is that different parts of the United States might have different effects. The US is huge. Even some states are huge and can differ a lot in different regions. That’s why I don’t think cross-country comparisons are that wise when it comes to minimum wage laws because labor markets, cultures, fiscal/monetary policies, and just plain luck can produce different results in different places. Of course the conditions are different. Of course conditions will change continuously, thus any static law is guaranteed to fail. So maybe we might want to adopt different types of laws in different places in different fashions. Maybe in California, raising the minimum wage would have net positive results, while raising it in Texas would have net negative results. Or getting rid of the minimum wage would have net positive results in Texas while net negative in California. I don’t know. I’m just saying this is something we must consider. Why not abandon positivist law entirely and allow ‘economic laws’, viz the free unfettered market to allow adaptation to the variable conditions of exchange? You want to raise wages? Then you need to raise employment through production. How do you manage that? Employment is a function of Discounted Marginal Value Product [DMVP]. DMVP is raised through the addition of new capital that raises production, making each individual worker more productive, thus raising his individual DMVP. A higher DMVP results in higher wages. Of course this is the question that the Federal Reserve would love the answer to…hence their perseverance with QE and other credit expansion policies, even though after five years and counting, they have failed. New capital is invested by entrepreneurs from savings and/or increased debt, which are the savings of others, although in a fiat money economy this is less the case where fractional reserve lending can create new money ex nihilo. Those savings or incurred debt are invested in new capital to produce goods and services. The savings, excluding ex nihilo money creation, originate in earnings, gained from exchanging goods and services on the market economy. Why then does ex nihilo credit expansion fail? Because an artificial interest rate set by ‘law’ cannot overcome market forces and the natural rate of interest which governs the investment of capital. In exactly the same way would a minimum wage set by law [which of course it already is] fails. 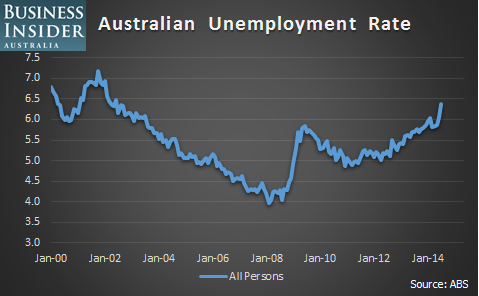 Simply look at the current unemployment. I have been so busy at Law School that I haven’t had an economic post in quite some time. With this being jobs Friday on Wall St, now seemed as good a time as any. Employment numbers are picking up. But really, so what. The type of job that is being created and the wages that it pays are the important factors when looking at job creation. Manufacturing jobs, high wage jobs, are disappearing and staying low. While fast food service etc are being created. The pay is however minimum wage. As this transition takes place, average earnings and consumption falls. This has in no small measure contributed to the muted economic recovery. If you lost a higher paying job which could only be replaced with a lower paying job your consumption habits must change. We had earnings finish up this week and they were not great. In fact the bar has been lowered to such an extent that earnings do not actually provide anything much of importance. Add to that the accounting manipulations that will be occurring and they are almost worthless. A significant reason is the falling aggregate power of consumption. Which is why the Federal Reserve will continue to inflate. Until of course that the inflation forces it to stop, which while it may take a while longer, will eventually happen. At that point stocks will be sold. Until then, the market remains an uneasy buy. 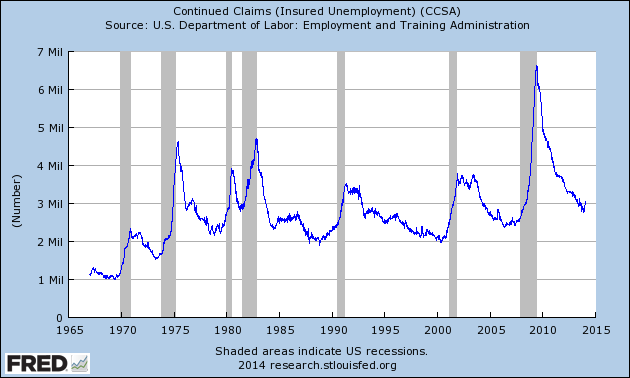 The jobless nature of the recovery is particularly unsettling. In June, the government’s Household Survey reported that since the start of the year, the number of people with jobs increased by 753,000 – but there are jobs and then there are “jobs.” No fewer than 557,000 of these positions were only part-time. The June survey reported that in June full-time jobs declined by 240,000, while part-time jobs soared 360,000 and have now reached an all-time high of 28,059,000 – three million more part-time positions than when the recession began at the end of 2007. That’s just for starters. The survey includes part-time workers who want full-time work but can’t get it, as well as those who want to work but have stopped looking. That puts the real unemployment rate for June at 14.3%, up from 13.8% in May. A collapse in the US median income level has historically coincided with the Fed running a policy of negative real interest rates. The reason why unemployment tends to be lower during periods when capital has a real cost attached was explained in some detail in a piece written in early 2011. This dour relationship has been maintained over the last two years and median income has, as I suspected, continued to fall. Make no mistake, if monetary policy is not substantially changed, then median incomes will continue to fall. We are watching the Fed employ a trickle-down monetary policy. They hope that if they pump up the banks and stock market, increased wealth will lead to more investment and higher consumption, which will in turn translate into more jobs and higher incomes as the stimulus trickles down the economic ladder. The kindred policy of trickle-down economics was thoroughly trashed by the same people who now support a trickle-down monetary policy and quantitative easing. It is not working.